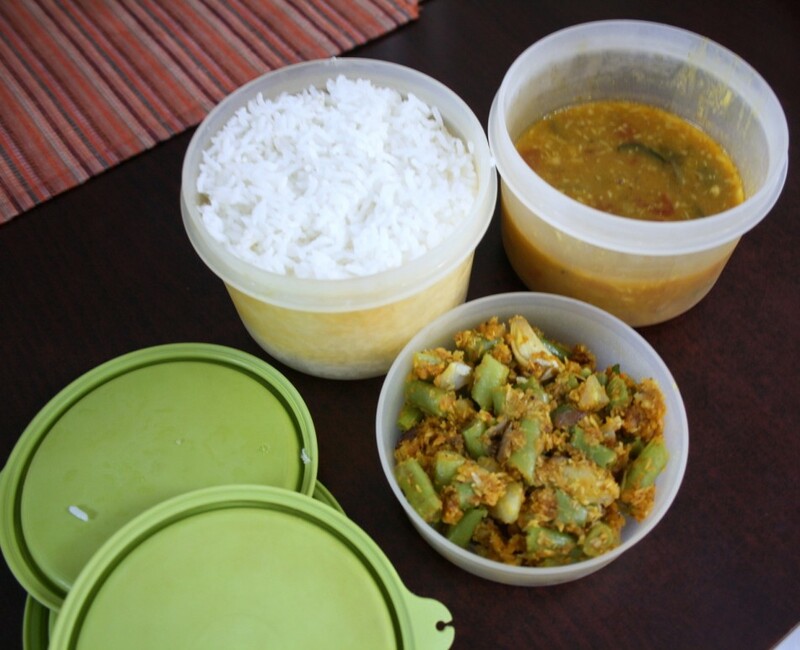 For the lunch box that I made along with Kathirikai Paruppu Kulambu, I made this simply Curry or Koora as we also call in Telugu. 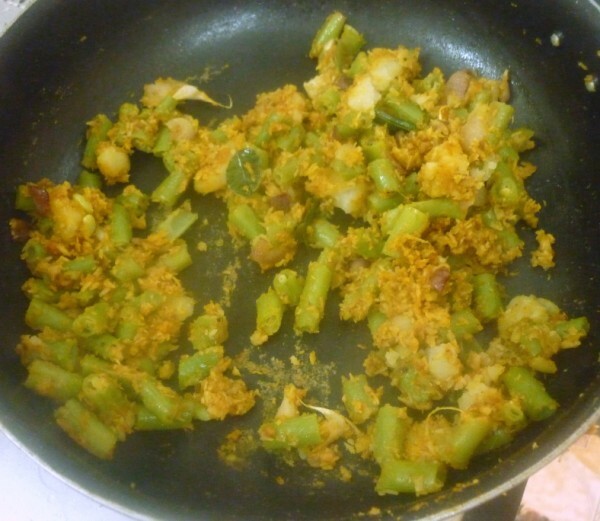 Now Koora is a name given to vegetable dry sautes as well as gravies. The usage is most confusing, however we manage somehow. 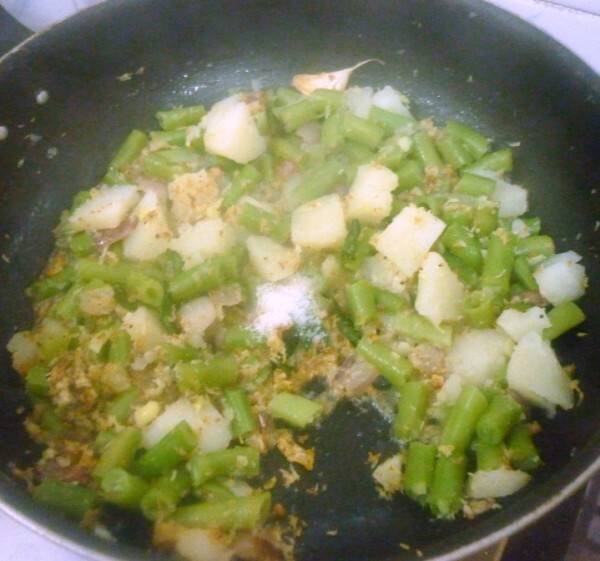 Coming to this simple beans and potato subzi, I eat this at my sil’s place. She had made it along with Pappu and I was surprised that hubby dear liked it and said he would eat such dishes if I were to make it like that. There was nothing so different about it, except of course the green chili spice that he so likes. So back home I decided I should make it and see if he still likes it. My SIL had made it quite spicy and it was bright red in colour, which meant she had added red chili powder as well. Mine didn’t end up like that, maybe because I pressure cooked the vegetables and then added. 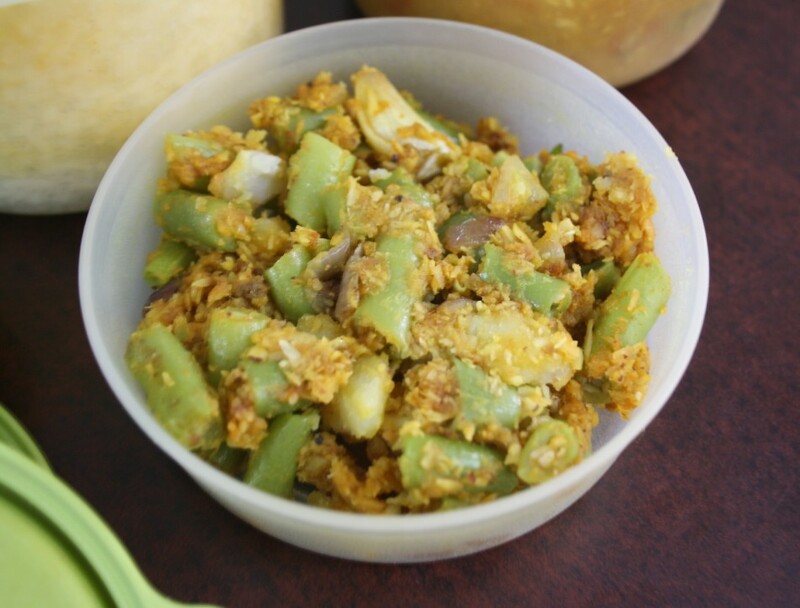 Coming to the simple one, here is how you can make this simple dish that makes a good side dish for both rice and rotis as well. Pressure cooking makes this dish get done very quickly, else you will have to slog over the stove for a while for the vegetables to get done. 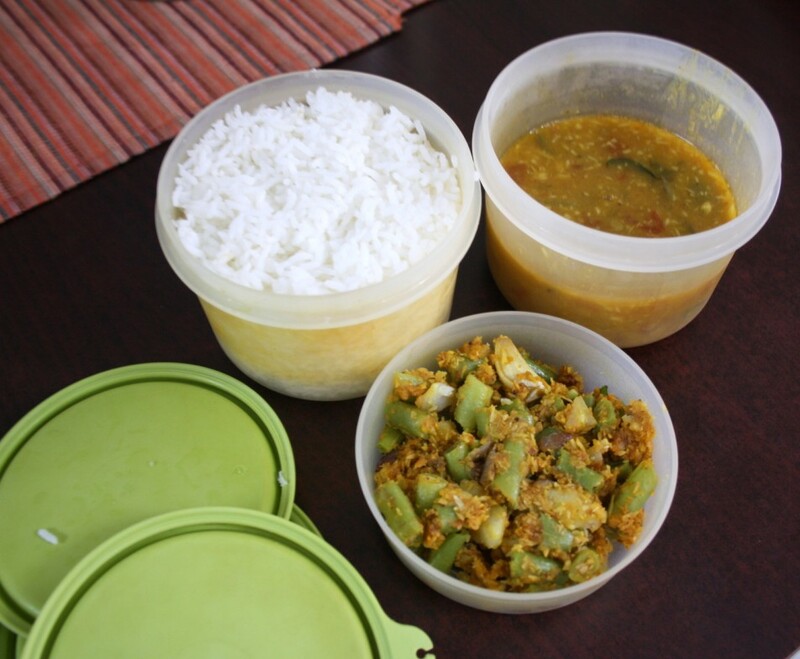 Make a coarse paste of coconut and green chilies without adding water. Wash and trim the beans. Peel the potatos and cube. Pressure cook till done. 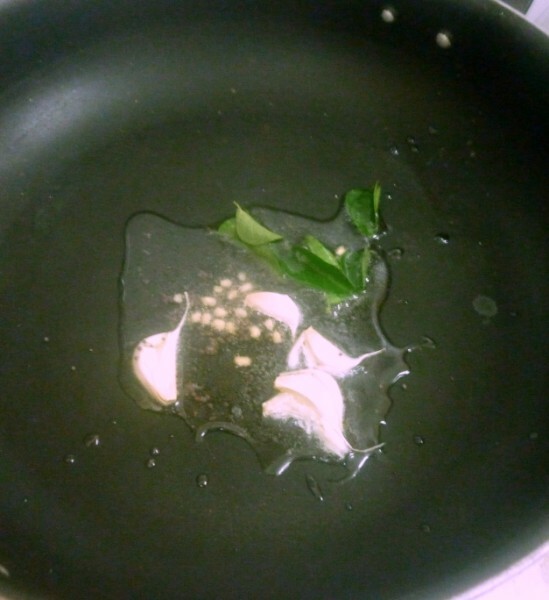 In a non stick pan, heat oil, temper with curry leaves, mustard seeds, and crushed garlic. 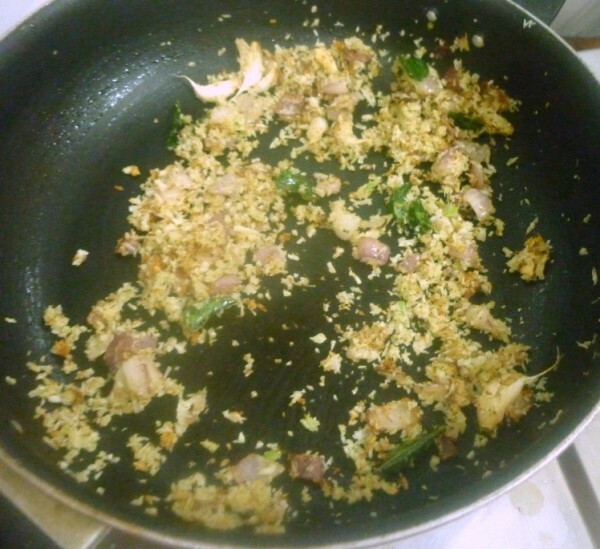 Next add the ground coconut mix, saute well till done. 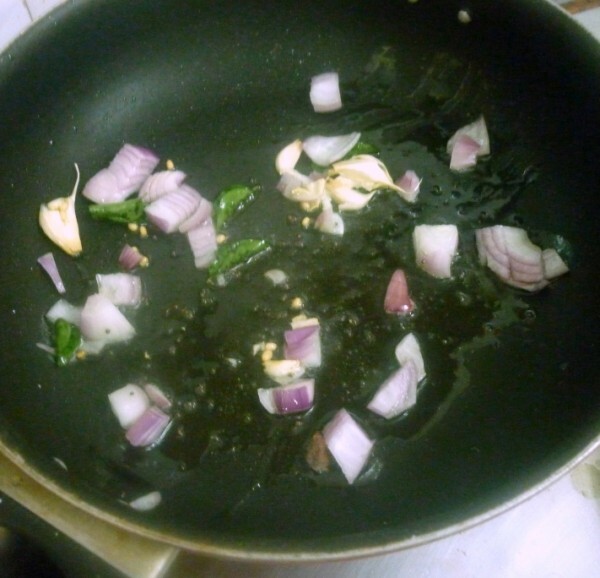 Then add the cooked vegetables and cook on high for the water to evaporate. 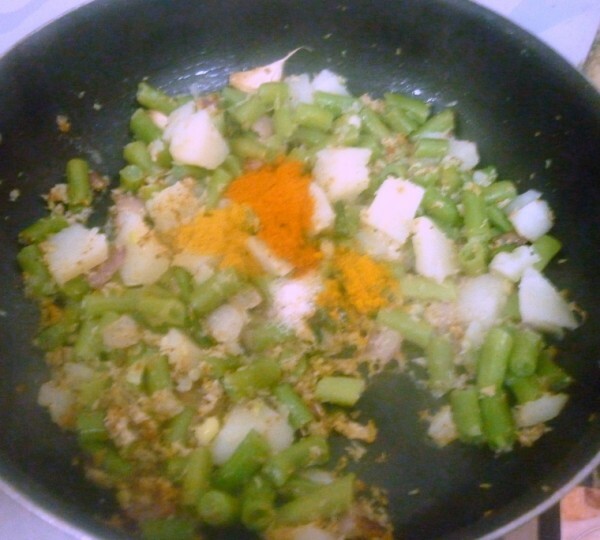 Add the spices and combine everything well. Continue cooking in sim till the spices and vegetables blend well.